A few years ago I came out of a meeting with my product manager where we talked about the next feature we should build. At the time there was a lot of hype around Foursquare-like location sharing apps. We worked for a social network so we had to build something like that as well. Needless to say, we didn’t have a clear product strategy. To take my mind off things I opened my RSS reader and a post called “Product strategy means saying no” caught my eye. As I read it I got so energised. It was as if someone had put my tangled thoughts into crystal clear writing. I immediately thought that I want to work with people who think like that. A few months later I joined Intercom. People are motivated by work that has a deeper purpose than just to make money. They want to be challenged, learn from others and grow in their careers. They want to be able to direct their own work. Even if your company has a strong mission, a learning culture with smart people to learn from and lots of growth opportunities, it’s very difficult to know what it’s like to work there by reading your job listing and looking at your marketing website. We’ve found that our blog is one of the most effective ways to attract great people. By writing a blog that’s aimed at other startups and designers we can talk about our mission, our values and our process to help readers get an inside look into what it’s like to work with us. As soon as I read Des’s post on product strategy, I knew it was the kind of company that I wanted to work at. 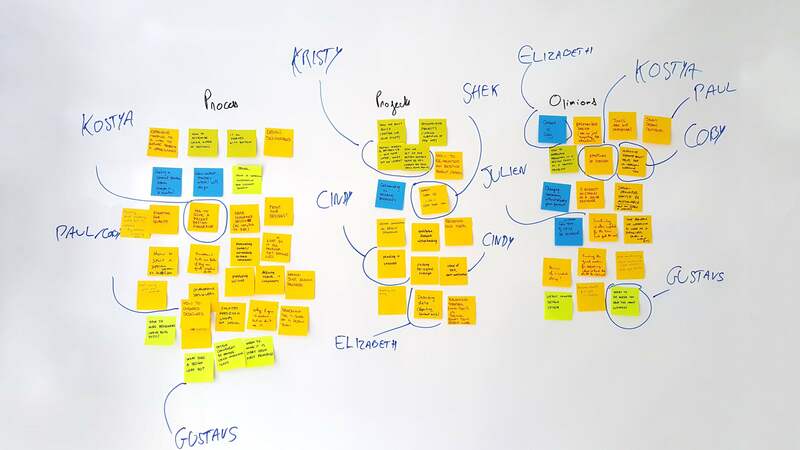 It’s no coincidence that design teams at companies such as Airbnb, Shopify and Facebook are all writing about design and sharing their knowledge. It’s a way to attract designers to their teams and establish them as leaders in the field. 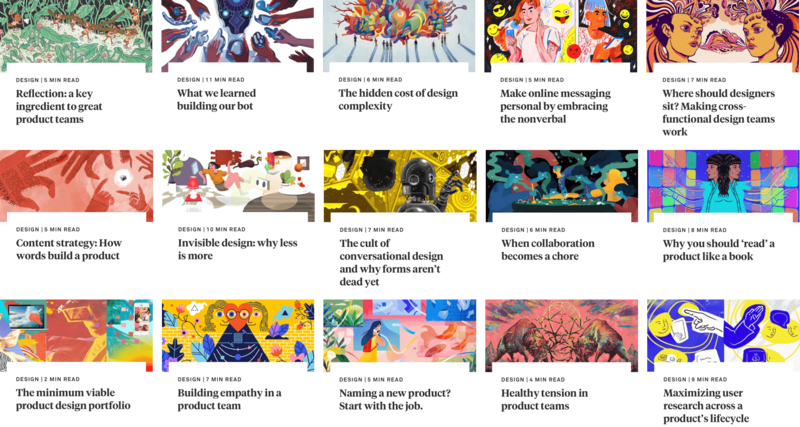 Everyone at Intercom is an expert in one field or another with many interesting lessons that others can benefit from, so we encourage everyone to write for the blog. We ask them to write about opinions and ideas they have, lessons they’ve learned while doing their work and to share their way of working. When I joined, Des and Paul were writing 2,000-word landmark pieces on product strategy and design that were bringing in hundreds of thousands of page views. Talk about intimidating! But we’ve seen that simple, concise ideas like why the best meetings happen at the coffee dock can work just as well. So don’t let the fear of “I need to write something that hasn’t been said before” stop you. Write about your own personal experience and include stories that are unique to you. Initially, it can be difficult to come up ideas on what to write about. So get your team together and brainstorm ideas about how you work, lessons you’ve learned and opinions you have. Go for quantity and generate as many ideas as you can. Each pick one and start writing. Writing is a muscle that needs to be trained, so set a goal of how frequently you want to publish to force yourself to write. Not everything will turn out great, so don’t expect you’ll publish it all, but start and you’ll see that it’s easier than it seems. There’s also a more inward looking benefit for writing. It helps you formulate your thoughts into clear opinions. Whenever I’m writing I choose a topic that is a bit of a mess in my head and I aim to understand it better. As you build up this skill of taking a mess of conflicting ideas and turning it into a coherent story, you’ll see that it’s a hugely valuable skill for your day to day work as well. Four years later, I’m still at Intercom, doing challenging work and still learning every day. But now I’m the one writing a blog post in the hope that it’ll get noticed by someone who shares our values. If that’s you, we’re hiring!